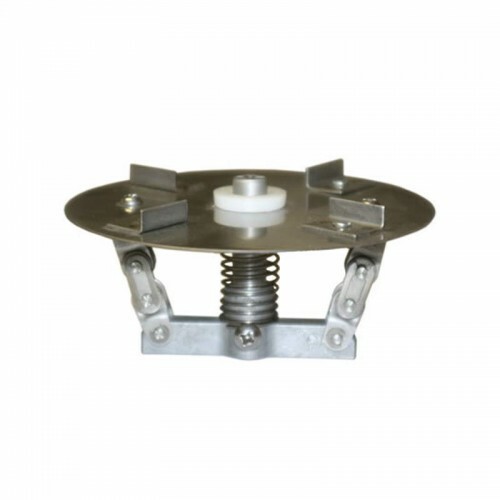 THE-ELIMINATOR - round scatter plate that mounts to a 12 volt 1/4" motor shaft without adapters. Stainless steel and aluminum construction. Eliminates corn loss from wind and road vibration.